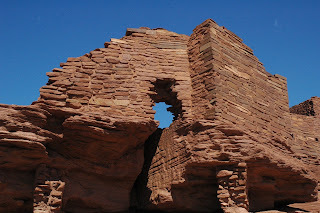 Saturday I returned from a week in Arizona where I visited places I hadn’t seen in 30 years. Yes, things change, but how things change can be interesting. 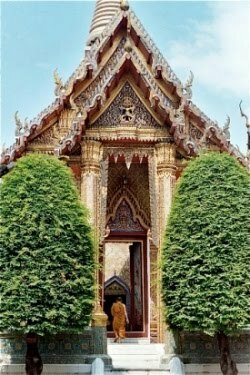 While the Bhaddekarrata suttas (MN 131, 132, 133, 134) wisely instruct us to avoid living in the past, such guidance does not equate to ignoring the past nor refusing to peruse it to discern any secrets it might reveal. For example, one of the places I visited was Red Rock Crossing near Sedona, Arizona. I like to call Sedona the chic epicenter of new-age ethnocentrism and self-inflated egos, the home of the harmonic distortion, er, convergence. Seriously, Sedona is a beautiful place, but not my favorite spot in Arizona. It is where mysticism dies to become commercialized. Red Rock Crossing is to the south and east of Sedona and is home to one of the most photographed views around, Cathedral Rock at Red Rock Crossing. Thirty years ago my journey to Red Rock Crossing took me along a lonely gravel road to a small park where folks brought their kids and picnics. The crossing had a gorgeous view of Cathedral Rock and was a hugely popular swimming hole. The red sandstone making the creek bottom was covered with a slick moss, which made the rock excellent for sliding along, letting the current push you through small chutes and into deep pools. Today, the location is a state park surrounded by multi-million dollar homes all huddled together to get that “view.” Instead of a gravel road, it’s paved. The place had changed so much it was difficult for me to find the spot where we used to swim. The water wasn’t clear any more, but ruddy, the current carrying various flotsam and jetsam discarded by an egotistical society that believes that views can be owned. Joni Mitchell’s “Big Yellow Taxi” came to mind. I managed to finally reach the spot, but it wasn’t the same; the creek was lower, likely because of all those seven-figure homes with wells that were sucking the water out of the underground stream. The final insult was the new age “sorceress” there smudging a man by the waterside, undoubtedly for a hefty fee. The tone of her Tibetan chiming bowl was divine. Other places I visited were still great. I love the atmosphere of Jerome, Arizona, and the mystical aura of the various Sinagua ruins in the national monuments that can be found in the vicinity. 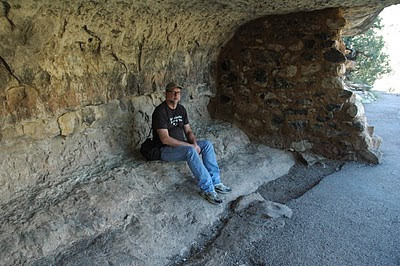 One spot in particular was important to me, Walnut Canyon National Monument east of Flagstaff. 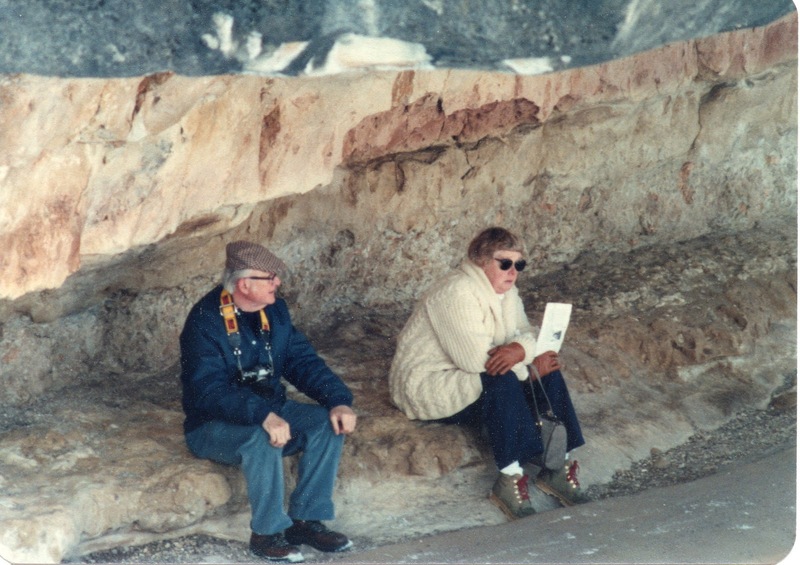 Here is a photo I took of my parents (both now dead) circa 1980 as they rested along the Island Trail in the park. And here is a photo of me sitting in what I believe to be the same spot roughly 30 years later. The former photo was taken with a Konica TC Autoreflex (which I still have) using a 50mm lens. The later was taken with a Nikon D70 with a wide-angle lens, hence the different perspective. My homage to the past is merely that, a nod of respect toward what has happened. It is not a longing for the past, for as the Buddha taught us, the past is gone. To say that I feel nothing in terms of the past would be a lie for certain. But I don’t need to cling to it and any desire to do so is gone. Each day I capture a drop of water, and each time I give it back to the sea.